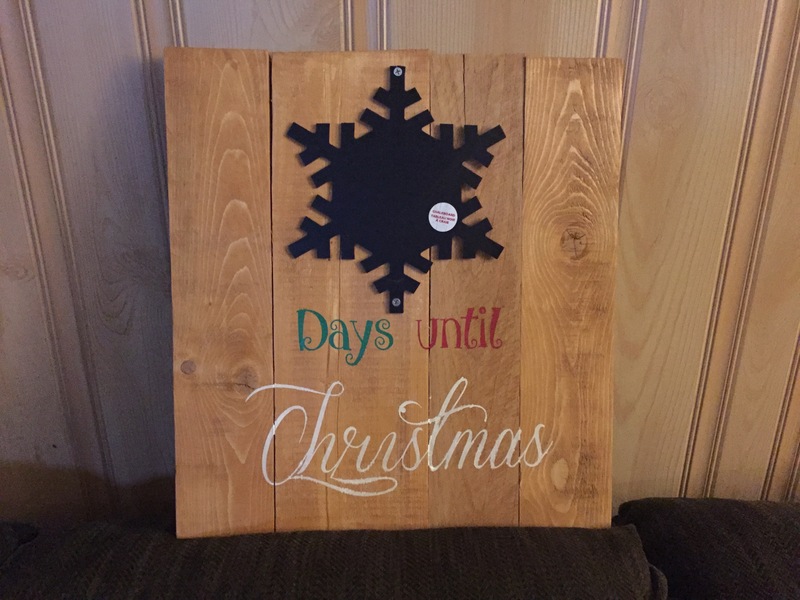 Countdown the days till Christmas with this cute sign. Features a chalk board snowflake! Approximate dimensions are 18″ by 17″. Sizes vary due to board availability. No two signs will be exactly the same and each are hand made.